It’s the most wonderful time of the year… at least that’s what everyone tells you. In truth, it’s also the most STRESSFUL time of the year. If you’re like me, you might be looking around your home wondering just where you’ll be storing all those gifts Santa brings. 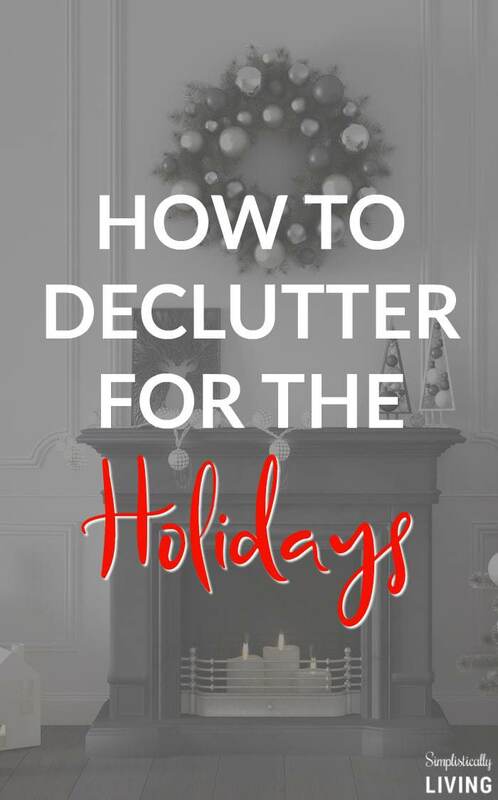 Solution: Declutter for The Holidays and I am going to show you how! This time of the year we are responsible for everything from baking to shopping and all the festivities in between. It’s no wonder that besides holiday decorating, our houses are filled with clutter and could use a little TLC. First off, breathe. It’s all going to be okay because you’ve got this. 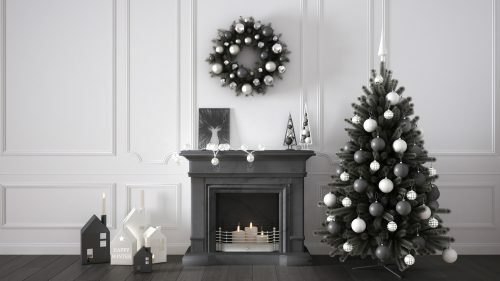 You’re a rockstar when it comes to the holidays and we are going to help you declutter for the holidays so you can enjoy more relaxing by an open fire. Go room by room and make a list (and check it twice). The best way to jumpstart your decluttering for the holidays is to make a list of every room/area you want to declutter. The kids toy box. √ That dreadful hallway closet. √ Underneath the kitchen sink. √ And so on. Writing down exactly what you want to accomplish helps you set a goal. Besides, crossing off things on that list when you are done gives you a sense of accomplishment. Make a designated area for decluttering and make 4 different piles. So, it’s not easy to declutter without space to do it. Everything else outside of these 4 piles is to be kept. Okay, so now you’ve got the list and got the designated piles. All that is left is to DECLUTTER! Room by room, take items out and sort them into your four piles. Once you’ve sorted, put anything left back nice and neat. Repeat this room by room. 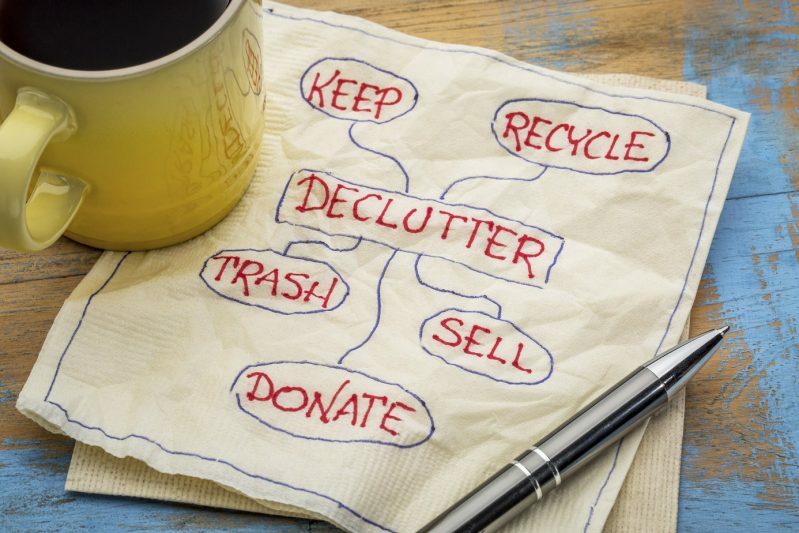 By the end, your home will be decluttered and you’ll have a few piles of things to get rid of. The donate pile can be placed into bags or boxes and taken to your local donation center. The selling pile gets put into boxes and stored in the garage. If you really want to be organized you can even pre-price items using pricing stickers prior to storing these items away. The recycling/repurposing box can also be stored in the garage until after the holidays when you’ll get to being creative. And last but not least, the trash box goes to the trash. However, if you end up like me and have WAY TOO much trash to throw out in your weekly garbage pick-up, do what I do and get a cheap dumpster rental. I know, that sounds crazy, right? But in reality, getting a dumpster is super easy and convenient. They will deliver it right to your home. You dump all your trash and them BAM they pick it back up. Easy-peasy and you don’t have to spend weeks trying to eliminate all the clutter slowly. I hope these tips help you eliminate clutter for the holidays and get you back to enjoying more of what is important this holiday season!